Launched in 2002 by Jorg Hysek, the famous watchmaking designer, the Anegada is a highly originally-styled man’s watch, distinguished by its slightly curved case and by its horns that blend in perfectly with the brand’s aesthetic universe. Finely crafted in Satin finished steel the Anegada comes with a choice of two movements – ETA 2824-2 or Dubois-Dépraz 14580 -showing the date at 3 o’clock or 6 o’clock. The beautiful Côtes de Genève finish and blued screws of automatic movement is visible through the transparent sapphire crystal back. 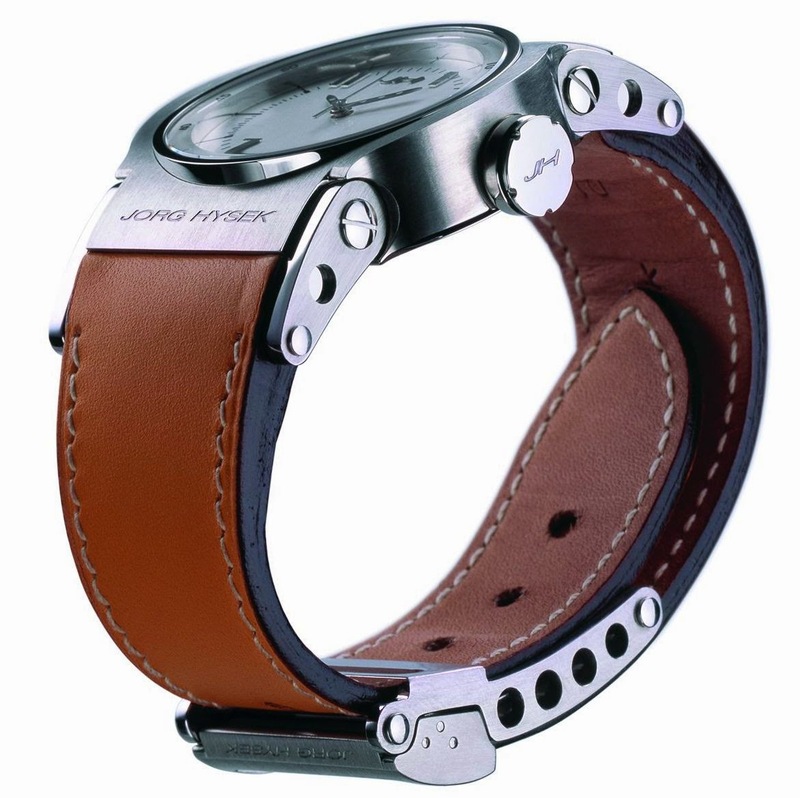 In 2005, JORG HYSEK enhanced the Anegada collection by unveiling a diving timepiece: Anegada Plongeur, an automatic diver’s chronograph equipped with a specially developed unidirectional bezel with side-locking system. Crafted in Solid stainless steel (pink gold version was also produced), this diving timepiece with a water resistance of 100 meters is equipped with unidirectional rotating dial with a bezel locking system at 9’o clock, Sapphire crystal case back and rubber strap. The Anegada Plongeur is a multifunctional diving timepiece with functions Hours, minutes, small seconds, large date and chronograph functions. The automatic movement has a power reserve up to 42 hours.